Following apps can be downloaded directly from this page using your iOS device. Click on the links, and install the apps. All app links provided by TweakBox and HipStore Repository. If you are looking to try something outside the ACMarket app, then take a look at three of the best alternatives for iPhone and iPad users. TutuApp is a reliable unofficial app installer that is packed with thousands of iOS apps, games and jailbreak tweaks. Many of these content has been modified with new features, making the apps work much better. Open TutuApp installer, and you’ll find modified apps like Spotify++ and Snapchat++, along with emulators, screen recorders and more. 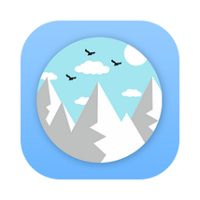 AppValley is an app installer with a difference in that it contains more Cydia tweaks. Most of these are the games emulators, and AppValley app offers us a huge choice of these to download from, including GBA4iOS and HappyChick. Now Copy-Paste the link below to download. Alongside those, there are thousands of free apps, games, and lots of other exclusive content. Panda Helper is one of the most popular and reliable of all the iOS and Android app installers. With thousands of apps and games to choose from, plus a load of jailbreak tweaks, the developers are incredibly active, keeping the installer updated regularly. Panda Helper offers modified games like Pokémon Go, and apps like MovieBox and Spotify++. ACMarket is the latest in a long line of third-party app installers, containing UNLIMITED modified apps and games. All of them are “FREE to DOWNLOAD” and use, packed with extra features. yes, the download link is available on this page. Why i can’t download vsco? thank you for downloading. What apps are you looking for? As you can see from the list above, we have very limited support for iOS devices. We are coming up with a list of apps like ACMarket for your convenience. It is applicable to kinemaster app?how to download the kinemaster app using acmarket for iOS? thank you for listing . its added now. sorry we only host the app, we have no control about the functionality of the apps. Can you add Choices? It’s a game like Episode but it’s more fun please I would love that. I’ve been trying for an hour I think I might be doing something wrong but for iOS may be a bit different but I don’t know how it works. sorry if you are facing difficulty. ACMarket has good iOS alternatives listed above. i’ve been trying to download spotify ++ on my ios device and it isn’t working..
Sirs how do i get acmarket on ios?? I can’t find Choices:stories you play. Can you add that app?